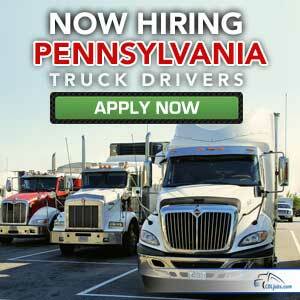 As a truck driver from Pennsylvania, you want to drive for trucking companies that are the best in the industry. CDLjobs.com is your go-to website to find the trucking jobs you need. Our application process is safe and easy. We have the best companies, posting the best truck driver jobs on our website. It's as simple as choosing the company you want to drive for, filling out a simple one-page application, and submitting it to the companies that offer the truck driver jobs you want. In no time you will hear a response. We've done all the research and searching for you. You won't waste time looking for trucking jobs; instead, you will spend more time on the road, driving for the best trucking companies.